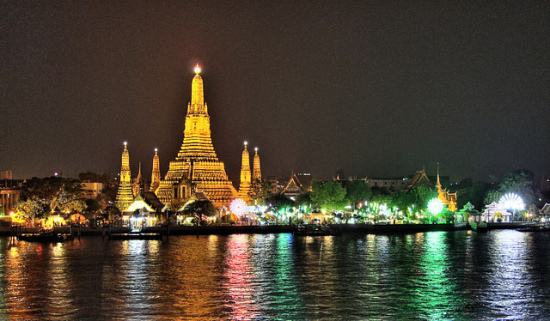 A good sale to Bangkok. If price alone is the determining factor for selecting a flight, China Southern via Wuhan and Guangzhou is cheaper than this on certain dates. Two permitted at $100 each. None in Guam. 2014: 15,998 miles or 5.5 cents per mile. March 1st, 2015: 3,830 miles or a difference of 12,168 miles. 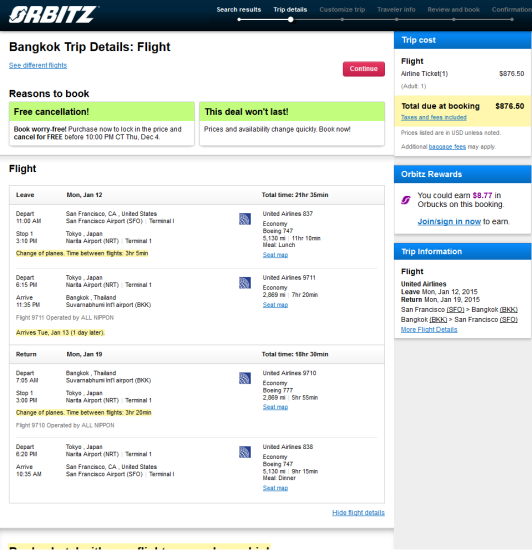 One Response to "United – $877: San Francisco – Bangkok, Thailand. Roundtrip, including all Taxes"
I see flights for $690 rt, sample date Jan 15 – 22.